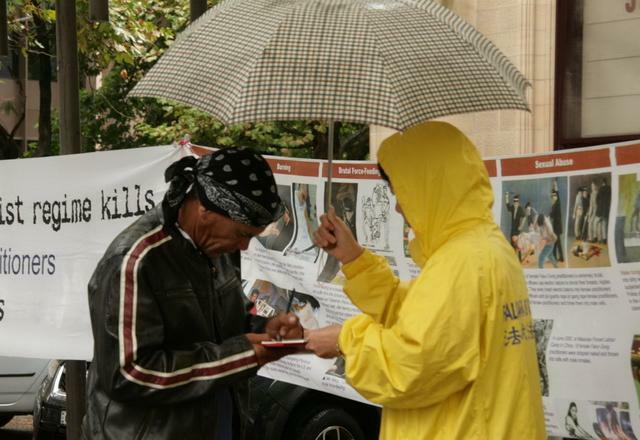 Despite the rainy weather, a steady stream of local people gathered around the display that Falun Gong practitioners had set up in front of Sydney City Hall on March 1st, 2013. Many expressed support by signing a petition calling for government legislation to help stop the live organ harvesting that continues to this day to kill numerous Falun Gong practitioners in China. The subject of illicit organ harvesting, which appears to be sanctioned by the Chinese Communist Party (CCP), came up in the New South Wales Parliament on the afternoon of February 28th. Various issues and remedies were discussed, including the refusal of training for Chinese doctors in organ transplantation, and forbidding Australians to go to China for organ transplants. Jamie Parker, a member of the New South Wales Parliament, called for legislation to address these problems. 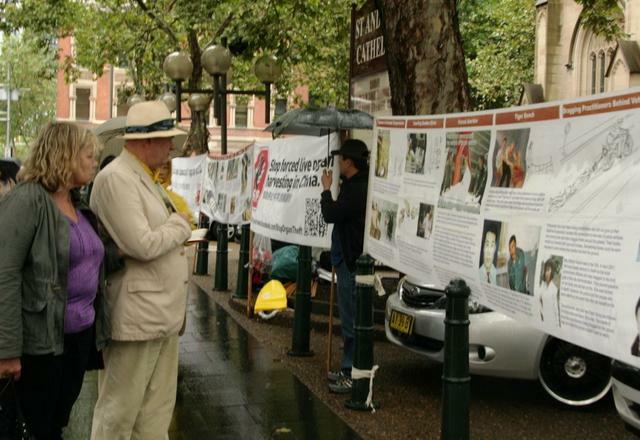 Before the session, more than ten thousand signatures calling for a stop to the CCP’s live organ harvesting from Falun Gong practitioners and supporting legislation in New South Wales were handed over to the parliament. 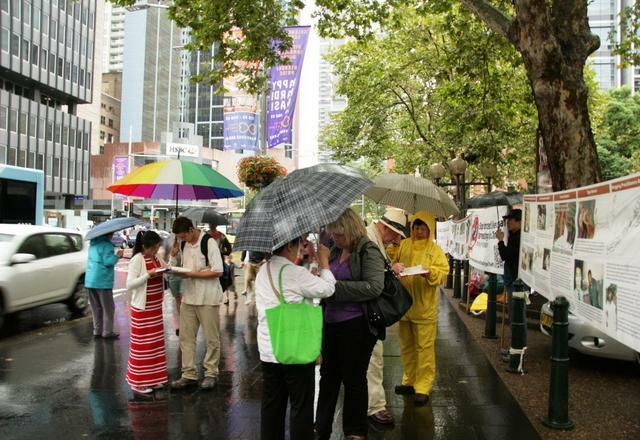 People sign petition calling for an end to the persecution of Falun Gong. A man from Nepal came with his family and wanted to donate money to Falun Gong practitioners. A practitioner explained, “We don’t accept donations. That's not what we're here for. We are here to call for an end to the persecution and to stop the CCP’s atrocities of organ harvesting from living Falun Gong practitioners.” The entire family signed the petition. A Chinese girl in her twenties renounced her membership in the CCP and its affiliated organisations with the help of a practitioner on the site. She hugged the practitioner in appreciation for her help.